Guadagna fino a US$ 0,26 con Kinguin Mafia! Leggi di più! 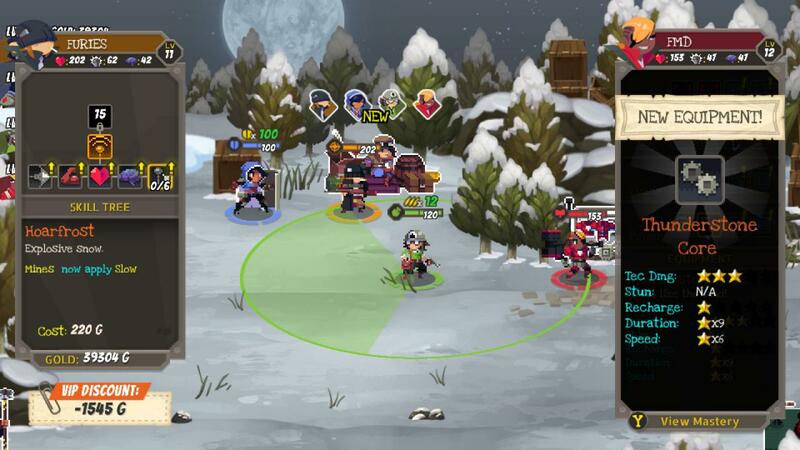 From the creators of Rogue Legacy comes a "true-cooperative" action RPG. 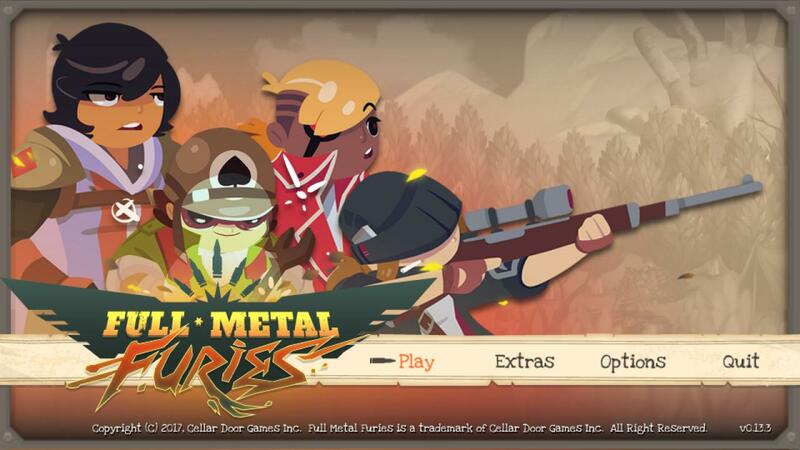 FULL METAL FURIES puts an emphasis on team play with a unique combat system where everyone is important. Work together to defeat special enemies, string organics combos to deal massive damage, and save a wartorn world that is battling itself to extinction. Play on the couch or online with friends, and make it a party for up to four players! 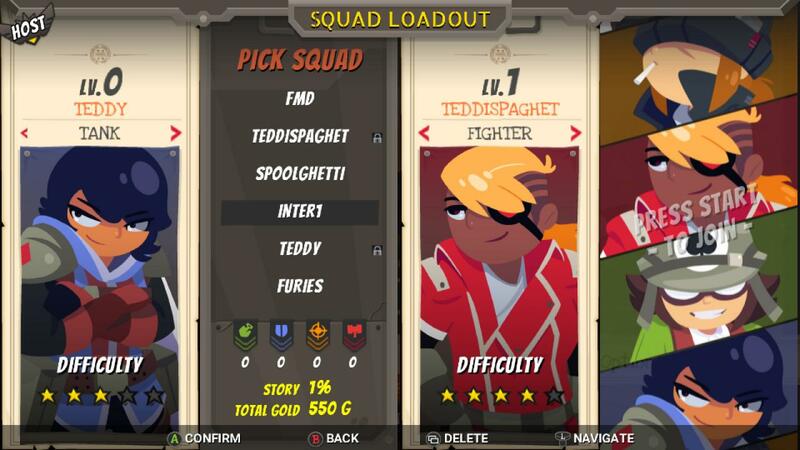 Or go solo in single-player, and show off your skills through a Pick 2 quick-switch system that retains all the nuances of multi-play. There’s no I in Team. And there’s no I in Full Metal... Furees. True coordination is needed to take down your foes. 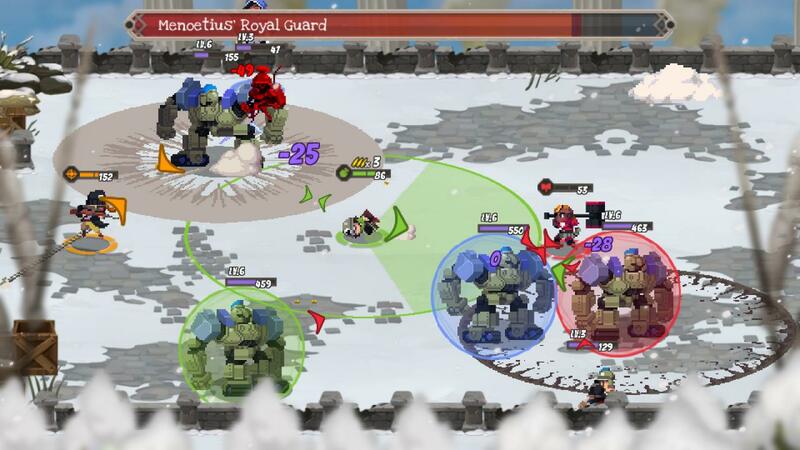 Enemies enter the battlefield with coloured barriers, and only allies of a similar colour can shatter them. You must revive your fallen allies. Barriers won’t break themselves! 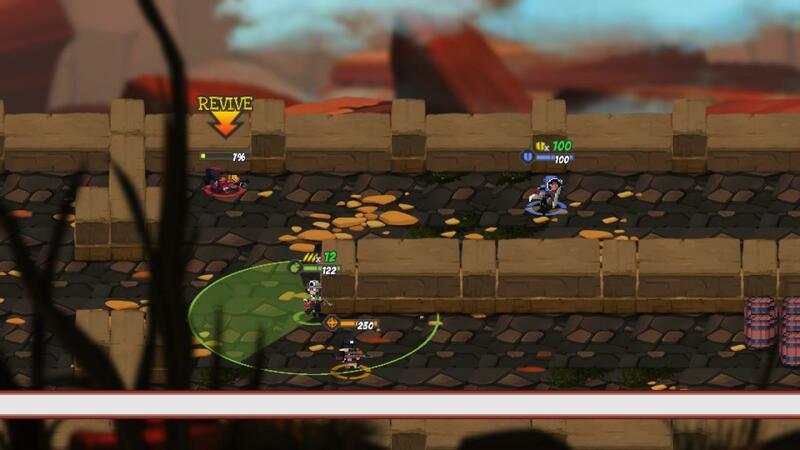 Revive bars naturally raise over time, but a helping hand never hurts. Cooperation, not competition. No more fighting for last hits, battling for gold, or trolling for health drops. Everything is shared, so you can focus on working together. Four classes, four different styles of play. Alex the Friendly Fighter – Engages up close with counters and combos. Meg the Near-sighted Sniper – Plant mines, shoot from afar, and juggle your enemies. Triss the Boxy Tank – Save allies with your shield, or send enemies flying. 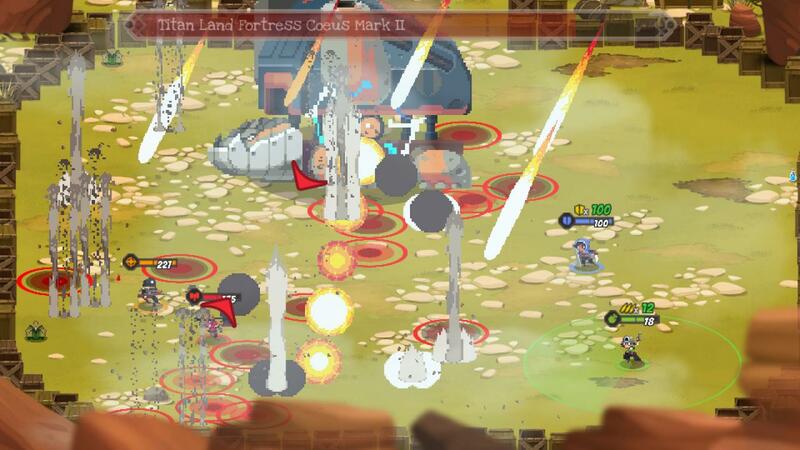 Erin the Ovally Engineer – Control the battlefield with her turrets. She also has a gun! An adventure full of intrigue, twists, and one liners. Travel through the ruined snow-capped town of Thessaly, brave your way through the Foloi Forest, enter the tombs of the Stygian Well, and more. But keep an eye out; there’s more to the world than what is on the surface. Secrets, clues, and hidden dimensions are scattered throughout! Discover a story spanning over 20,000 words in 6 different languages. An abstruse allegorical action adventure about atonement, allusions, and alliteration awaits all at an alternate age around Athens’ ashes.